Liza already had her immersion for her role at a University in the Philippines. 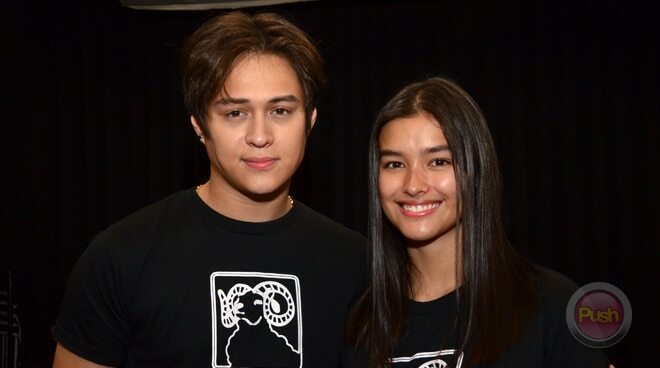 Liza Soberano and Enrique Gil are set to star in an upcoming movie under Black Sheep in 2019. LizQuen will play university students in the film. “I will be playing as Christine, she is a U.P. art student she has a lot of dreams aspirations and these dreams of hers are really big dreams. parang ang isa sa mga quote niya, if you are gonna dream, dream big,” Liza said in an interview with the press at the story conference of their movie. Meanwhile, Enrique said that his role is the total opposite of Liza’s. “[‘Yung character ko] not a dreamer but I believe that you know I’ve been used to not succeeding so why I should even try? I believe that one person cannot save the whole world so why even try? ‘Yun ang pag-iisip [ng character] ko. [‘Yung character ni Liza] naman, its the total opposite,” the actor shared. Liza has already immersed herself in the University of the Philippines for the role, which is the same school where the movie’s director Antoinette Jadaone graduated. The actress said that she had fun during her U.P. immersion. “It was really fun. Nakita ko gaano ka participative ‘yung students. It was really a fun class, an eye-opener. I actually learned a lot of things in the one hour na nag sit-in ako and like I said I enjoyed,” she stated. Both stars are already looking forward to start shooting the movie. “I am very excited that we get all this time to prepare for this movie kasi ‘yung previous movies namin laging nagmamadali kami. It’s really exciting that we get to immerse also kinda relive our childhood again and I’m just really excited to be doing a movie again,” Liza stated.